Tony Parker has the best timing in professional basketball. And I don’t just mean that he’s mastered the buzzer-beating clutch jumper, or that he always seems to heat up right around playoff time. Not that those things aren’t true — he didn’t just buy those four championship rings on his hand at a pawn shop — but the San Antonio Spurs point guard also happens to have impeccable sartorial timing. 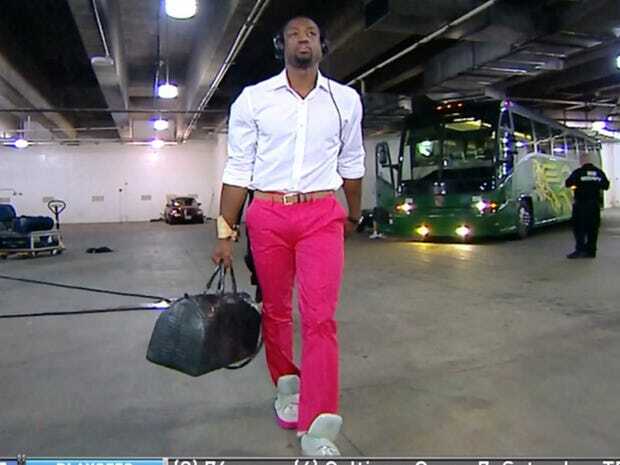 In an age where pre-game style in the NBA knows no bounds, you still won’t catch Parker rocking hot pink pants, Urkel-esque fits, or try-hard suits on the way to the locker room. The guy keeps his game day looks simple — usually just pair of jeans and a button-up or leather jacket— but cleans up damn well when the occasion — like, say, the Emmys or a charity event — calls for it. It’s not that he doesn’t like dressing to the nines; it’s that he understands there’s a time and place for it. So, yeah, it makes sense that Tissot would want this NBA legend, and his clockwork-like sensibility, repping their brand. (So great is the 35-year-old’s timing that he’ll have a bevy of endorsement deals to keep him living comfortably once he retires.) His latest signature watch, the Tissot T-Touch Expert Solar Tony Parker ($1,395), features elegantly muted rays on the dial that shine in various shades of grey next to his jersey number, 9. Subtle, elegant, and precise, like the man himself. We caught up with the Parisian Torpedo when the Spurs were in Toronto last week to chat about the NBA’s style evolution, watches, and his low-key pre-game flex. 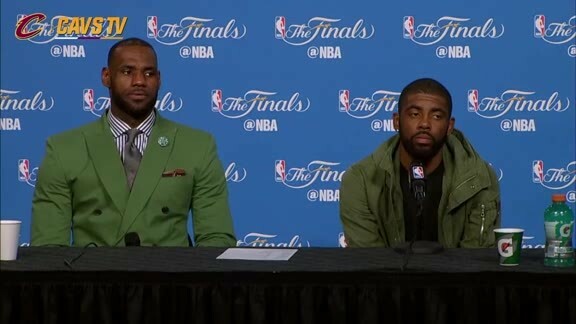 More than ever before, people are paying attention to the way NBA players dress. We’ve been seeing some pretty wild pre-game styles, but yours always seems more understated and casual. Is that intentional? [Laughs.] No, not really. It’s just how I feel comfortable. I think everybody is different, and everybody should express themselves the way they feel. I think it was a great move by the NBA to make sure everybody dresses up and can show their sense of fashion, so I think it’s great for the league and it’s a great example for the young generation. Well, like you say, casual. Especially during the season. Then I’ll be more fashionable maybe during the summer, or if I go to a foundation dinner or something like that, but during the season, because we travel so much, I keep it simple. You’ve probably received countless offers from brands. What made you want to start working with Tissot? Well, Tissot’s known me for a long time, so it was a perfect match for me. I’ve been having a great relationship with them for a lot of years through my foundation, because that’s how we met. And with the basketball camps and everything that we do together, we definitely have the same values and a lot of stuff in common, so I’m just very blessed to have a sponsor like that and to be able to go all those years and keep growing and keep making stuff happen. And in terms of style philosophies, what do you and Tissot have in common? Well, for me, Tissot is, like, simple too. It’s perfect for me. They represent me very well. It was a great honour when we did my watch in the limited edition, working with that team and learning about the watch world. It was just a great experience overall. What can you tell me about your new watch, the Tissot T-Touch Expert Solar Tony Parker? Too many options! No, I’m joking. [Laughs.] The T-Touch is just a watch that I think is going to be very successful. Overall, people like my friends — since at Christmas obviously I always give everybody Tissot watches — they really liked it. Me, I’m more classic. I’m more simple. Just give me the time and I’m fine. But my friends, they loved it. It’s a lot less orange than the previous watches you’ve done. [Laughs.] Yeah, well, they change colours. The orange, I guess, was in the summer mood, but this one is more simple. Understated, again! Well, you’ve been in the league 17 years now. How would you say the way players dress has changed since you first started? Oh boy. When I first started, everybody was in baggies and jerseys and stuff like that. But I prefer the way it is now because it’s more close to the European way — like suits close to the body and stuff like that. So I think, overall, it was just great for the league when they made the decision to dress up and I think it’s good just to look more professional. And everybody can have fun with it to show their fashion sense. Some players say it’s lot of pressure because you’ll get roasted on Twitter if you wear the wrong outfit. It doesn’t matter! It doesn’t matter because everybody has different tastes, so everybody should express themselves however they want. In your opinion, who is the best dressed player in the NBA right now? I don’t know if you can say ‘best’ because, like I said, everybody’s got different tastes and everybody can do whatever they want. So I think we don’t really have a best, but I’ll say maybe Russell Westbrook because he goes the most fancy and stuff like that. But I think everybody is great! Do you dress differently for a big game? Not really, no. It depends. I will not dress because it’s a big game, or bad game. I will just dress how I want to dress. It doesn’t matter who we play. Do you have any style role models? As far as role models, growing up, it was Michael Jordan. For me, he was a great example on the court and off the court. And talking about dressing, he always had a suit on, so he was a great role model to follow. Yeah and that was even before there was a dress code! Oh yeah. He was always suiting up. Well, by the way, congratulations on recently passing Kevin Johnson for 21st place on the NBA’s all-time assists list. Thank you, thank you. I didn’t even know! I saw that afterwards and I didn’t even realize that I was that close to the top 20, but no, it’s just unbelievable. Growing up in France, I never thought that I’d be in the top 20 for all-time assists. Every year that I stay, I get closer and closer to those records and I don’t even realize. Do you have a goal for how far you want to move up the list? No, not really, because when you play you just want to win, and we want to win championships, and I don’t even realize all those numbers. When you play, you more focus on winning the games. So, the NBA now has a Best Style award. Do you think you might be in the running this year? They have a style award? I didn’t even know they had a style award! Yeah man! They handed one out at the NBA Awards last year.